You would think this post would be in the “Food & Drink” section, right? But, it’s not. It’s in “Travel & Culture”, on purpose. Because in my world, certain foods exude certain cultures. I am 1/2 Lebanese. My Lebanese Grandmother (Tata) made the most delicious grape leaves, and she exhibited excellence in rolling. 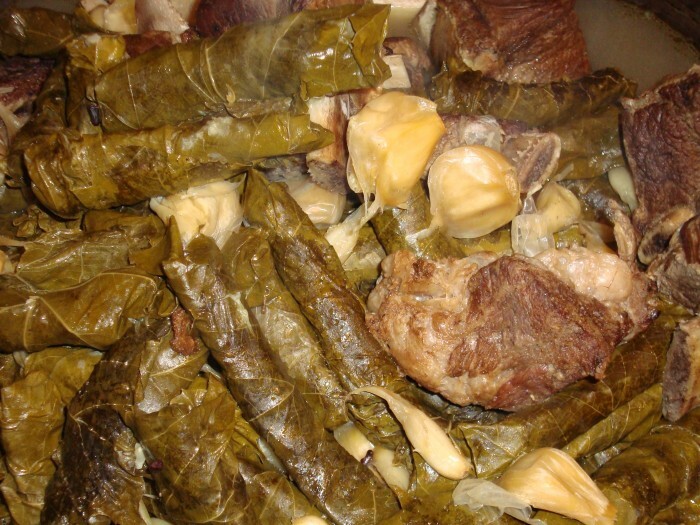 I remember being a little girl, sitting next to her, rolling the grape leaves. And her taking each of mine, and re-doing it. So, every time I eat homemade grape leaves, I’m not only experience the deliciousness of the current dish; but, I’m remembering the wonderful experience of learning from my grandmother, her patience, her kindness, and her persistence that I learn to roll correctly. So, certain meals can be true cultural experiences, beyond the plate. Let me know about similar memories and experiences you’ve had. Let’s get a discussion started.